Bahraini authorities are preparing the country’s first space engineer with 400 applications already received as the Gulf country projects to launch its first satellite into orbit in the next two years. Head of the country’s National Space Science Agency (NSSA), Kamal bin Ahmad who also doubles as Bahrain’s minister of transportation and telecommunications has indicated that a core team of the Gulf country’s space program will be selected shortly. The team to be made of 10 fresh University engineering graduates below the age of 35 will be selected by a committee of NSSA experts in conjunction with foreign space savvies. “A five-member jury made up of NSSA officials and overseas experts will select the ten candidates in total transparency,” he said. 400 applications for the high competitive slots have been received and additional applications are still expected until the application deadline set for July 29. 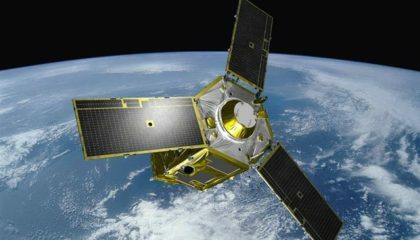 The selected candidates will undergo a two-year training before the country launches its satellite. The program according to the state official is in line with Bahrain’s plans to “optimize the use of space sciences within five years to serve national development and keep abreast of global strides,” Arab Business reports. Written by: KanelkaTagba on July 19, 2018. Posted by KanelkaTagba on Jul 19 2018. Filed under Gulf News, Headlines. You can follow any responses to this entry through the RSS 2.0. Both comments and pings are currently closed.